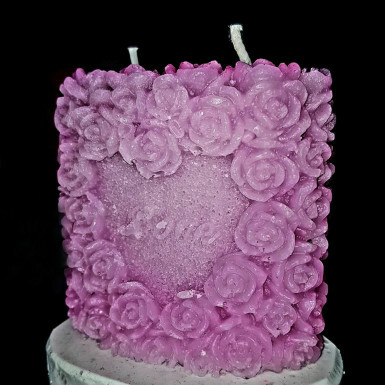 2 Rose candle with Size- 3" x 2.5"
This is a beautiful gift for a birthday, anniversary, housewarming, surprises, candlelight dinners, Valentine’s day, new year, Diwali and of course Christmas. Place your candles on a burn resistant surface and enjoy the refreshing ambiance. These decorative candles burn without polluting the air of your home with odor or smoke. Decorate your home with these scented candles without worrying about any ash residue that might damage your valuable decorative items.